We’ve shared TED: Ideas Worth Sharing with you before, most recently when WGBY aired PBS’s TED Talks Education on May 7th. 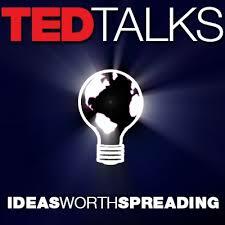 TED — not a name but an acronym for technology, engineering and design — offers talks that now span a world of subjects. Because we’re so inspired by these talks and summer’s a great time to renew, we’ll regularly feature TED talks, some specifically on education and all about learning, teaching and passing on great ideas. Kiran Bir Sethi teaches kids to take charge (9 mins, 32 sec. ): This empowering educator reveals how her Riverside School in India teaches students how to think and act with an “I can” attitude that ‘s infectious. You’ll see how they take issues with real-world relevance and change their world and the people in it. Salman Khan: Let’s use video to reinvent education (20 mins, 27 secs. ): The founder and faculty of the Khan Academy talks about how and why he created what has become a wildly successful series of educational videos offering courses in math and other subjects. He shows how powerful interactive exercises can be and asks teachers to consider flipping the traditional classroom, giving students video lectures as home assignments and traditional “homework” in class — where the teacher can help as needed. Inspire us. Let us know what you think, and please pass on those ideas you find worth spreading. This entry was posted in Teaching Tools and tagged K-12, science, technology, video. Bookmark the permalink.